Lex Luthor Took Forty Cakes. And That’s Awesome. Considering all the other, even more terrible things that he's done since then, I think I preferred his days as a unitard-wearing pilferer of baked goods. 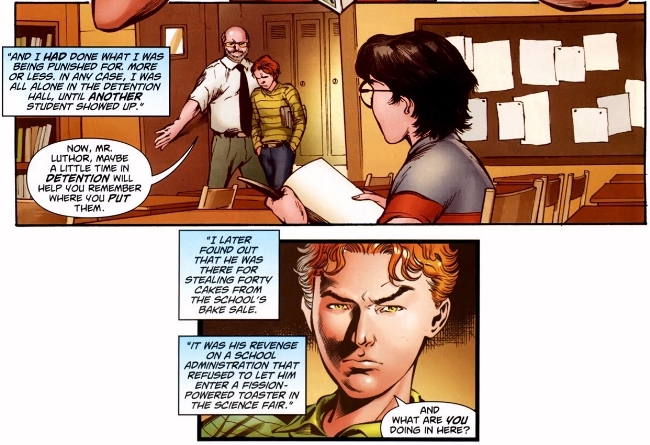 It would appear that the creative team behind Superman #709 (May 2011) – J. Michael Straczynski, Chris Roberson, Eddy Barrows, Alan Goldman, J.P. Mayer, and Julio Ferreira – are familiar with it as well. 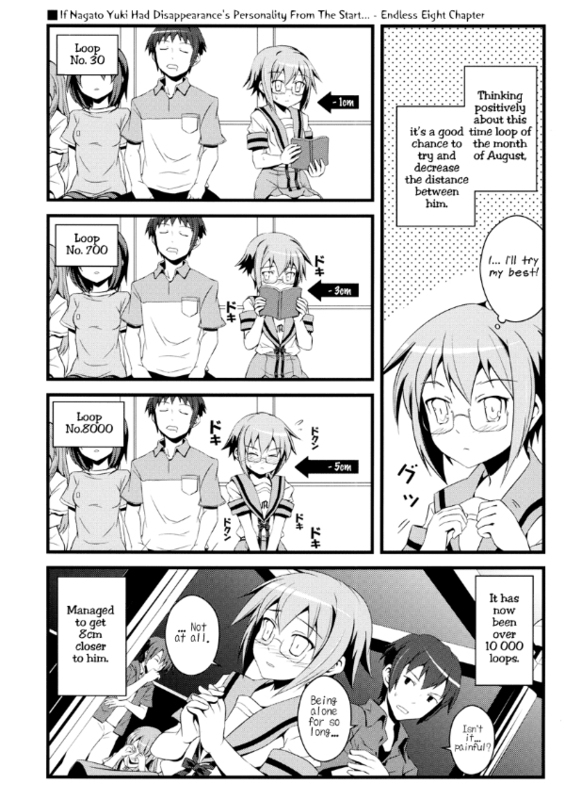 And, much to the amusement and delight of online geeks everywhere, they recently decided to advertise this fact by taking the joke to the ultimate level and making the bloody thing canon. Who knew that cake theft was the first step on the road to genocide? Special thanks to Dean Trippe for breaking the story. If you’re going to misuse office equipment, it’s always good to have an airtight alibi handy. Well, that's one way of creating legal briefs. 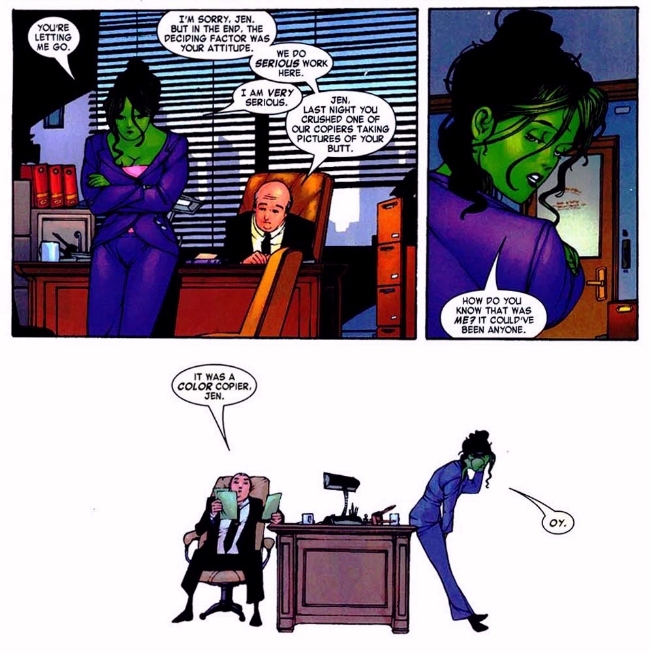 This example of how not to pass the buck has been brought to you by She-Hulk #1 (May 2004) by Dan Slott, Juan Bobillo, and Marcelo Sosa. What a difference a universe makes! While writing immensely detailed articles on comic book supervillains for a certain free online encyclopedia might be considered a dubious pasttime on our Earth, on Earth-982 – the so-called MC2 Universe – it seems to be more akin to a valuable public service. You'd damn well better hope that no one vandalized the "Symbiote (comics)" article before you read it. This handy reference source has been brought to you by The Amazing Spider-Girl #12 (November 2007) by Tom DeFalco, Ron Frenz, and Sal Buscema. Words can hit like a fist. And, given the kind of literal punch Overlord packs, that’s saying something. 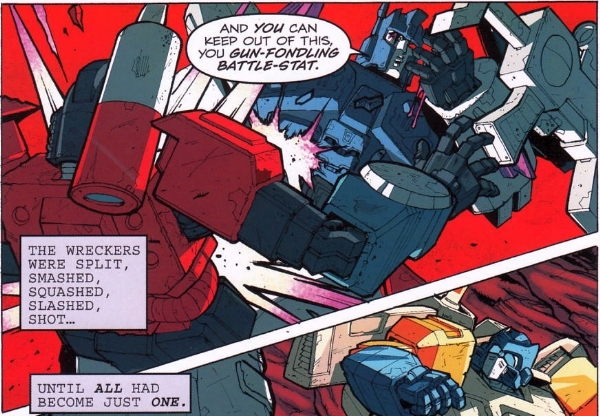 Today’s trash talking demo courtesy of The Transformers: Last Stand of the Wreckers #5 (May 2010) by Nick Roche and James Roberts. Either you can build up an immunity to anything with enough experience or Impactor is a tremendous badass. If you fall "asleep", you'll miss all the "good parts". 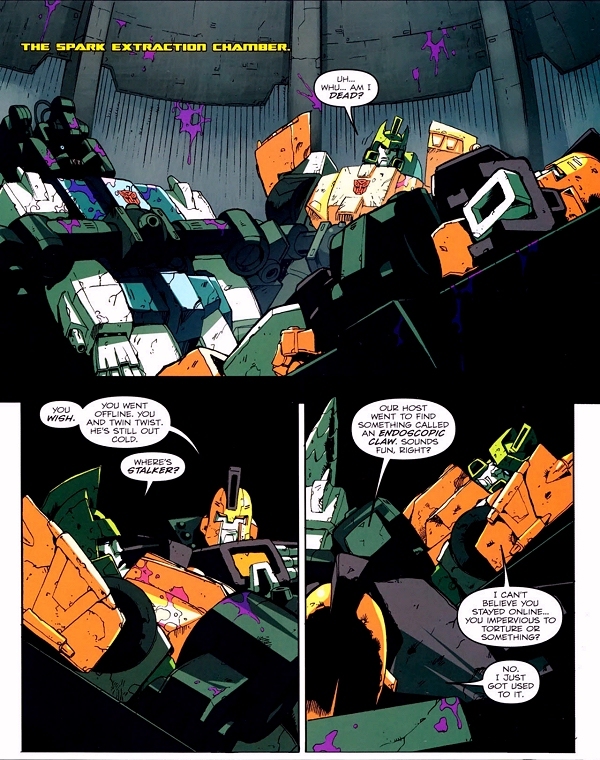 This lesson in enhanced interrogation has been brought to you by The Transformers: Last Stand of the Wreckers #4 (April 2010) by Nick Roche, James Roberts, Guido Guidi, John Wycough, and Andrew Griffith. If you can’t take proper care of your desiginated human, then you probably don’t deserve to have one in the first place. When your would-be rescuer's official function is "Autobot Obliterator", be glad you don't end up as just a smear on the inside of his chassis. 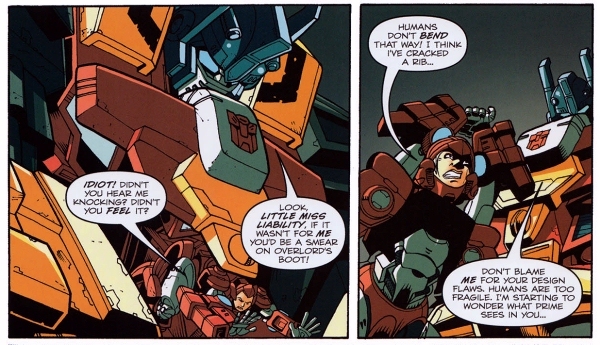 This painful lesson in human anatomy has been brought to you by The Transformers: Last Stand of the Wreckers #3 (March 2010) by Nick Roche, James Roberts, Guido Guidi, John Wycough, and Andrew Griffith.